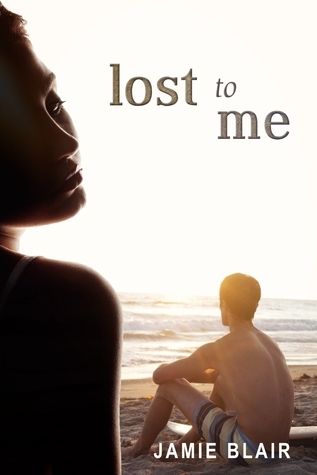 Lost To Me by Jamie Blair. I chased after him, laughter spilling from my throat. I could hear him laughing, too. I wasn’t far behind. When I got to the dune and climbed up behind him, my legs ached. He clasped his hands around my wrists and tugged me up beside him. Two higher dunes on either side sheltered us, giving us our own private spot to sit. I rubbed my calf, trying to get a knot out of the muscle. “Getting better.” My face grew hot. My hand found my cheek on instinct. The moon gave the crests of the waves silver tips. The ocean roared as it crashed onto the sand. I took a deep breath of the warm air. It smelled of seaweed and Kolton, making me shiver. “No, I’m fine.” I was more than fine. The shiver was from total relaxation, from being immersed in the moment. Before I could see it happen, he’d cupped my chin, and his lips were against mine. They felt amazing, full and soft. His kisses were gentle. He didn’t overwhelm me, and I liked him even more for that. Jamie Blair lives in Northeast Ohio with her husband, their two kids and a cat that broke into their house and refused to leave. She won a young author's contest in third grade, but it probably shouldn't count since her mom wrote most of her entry.LEAP OF FAITH is her first novel. She promises her mom didn't write one word of it. Thanks for such a good excerpt!! This looks like something I would really enjoy! !